THE ENVIRONMENTAL Protection Agency (EPA) is seeking further information on plans by waste management company Panda to develop a mechanical and biological treatment facility near Newgrange, Co Meath. The agency wants further details on dioxin emissions from a proposed eight-megawatt biomass furnace on the five-acre site as well as information about the risks of fire and explosion, and contamination of the environment by potentially harmful bacteria. CALLS FOR the national monument in Dublin’s Moore Street to be recognised as a “historic battlefield” and preserved as a historic cultural quarter is a “completely and entirely separate” issue from the application currently before the Minister for Heritage. Jimmy Deenihan told the Dáil it was “not clear how a battlefield site project could be developed” at the site given the existing planning permission for the site where the leaders of the 1916 Rising signed their surrender. House extensions now account for the majority of active housing construction projects underway across the country, new figures show. Data from the first National Housing Construction Index shows that more people are opting to stay in their homes and extend, rather than move to new homes. The figures from link2plans.com — a website that tracks every planning application in the country — were released last night. It analyses planning applications, a measure of sentiment and potential future activity, and commencement notices, a real time barometer of actual housing construction activity. The figures show that for the first two months of the year planning applications have plummeted by 23%, from 2,245 to 1,718, and commencement notices are down 14%, from 806 to 691, on last year. * Counties Cavan, Longford, Meath and Waterford showed the largest increases in commencement notices, with Dublin and Cork showing increases. “For the first time, house extensions now make up the majority of projects commencing, which is very probably a reflection on the housing market where people are staying in their homes and modifying them, rather than seeking to move to a bigger house,” Link2Plans managing director Danny O’Shea said. He said the national variations in housing construction activity are significant. “While the figures in Dublin and Cork are most likely indications of a larger population, other variations are not so easily explained,” he said. The link2plans.com index will be released every two months. THE Mater Hospital is now back in pole position to be selected as the location of the new national children's hospital after backers submitted a radical new proposal which would shave almost €70m off the original cost. A plan to build a 17-storey children's hospital at the site -- at a cost of €650m -- was shot down earlier this year by An Bord Pleanala. However, new costing proposals submitted to a government review group in the past week propose the building of an 11-storey version of the children's hospital and an adjoining maternity hospital for a combined bill of €582m. The backers were able to get more competitive quotes for the new plan due to increased competition in the construction sector, the Irish Independent understands. The new plan would see the Rotunda maternity hospital closing and its operations moving to the Mater. Insiders say the new bid has catapulted the Mater back to the leading option being considered by the review group. The group, headed by former HSE chairman Frank Dolphin, is due to make recommendations to Health Minister James Reillyearly next month. Up to 50 separate sites in the greater Dublin area have been offered for consideration by the review group but the list has been rapidly whittled down. The stiffest opposition to the Mater site is coming from bids involving St James's, Tallaght and Blanchardstown hospitals -- all of which involve free land and adjoining adult facilities. Earlier this month, the backers of the Mater site -- which is being championed by the Mater, Temple Street and the Rotunda -- put forward a revised plan, but were unable say how much it would cost. Although it was claimed it would be cheaper than the previous plan, no figures were produced to show how the original construction cost estimate of €650m could be improved on. However, new costings, knocking €68m off the overall cost of construction, were finally submitted to the review group last week. 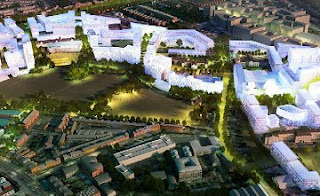 The Mater plan involves the new tri-located hospital complex being completed by 2016. The proposed cost is still €72m higher than the €510m estimate put forward by another leading contender, St James's Hospital. That hospital said it could build children's and maternity hospitals on its site and claims the children's facility could be completed by 2015, a year sooner than the Mater. There is already planning permission granted on the St James's site for a co-located private adult hospital, a plan which was abandoned last year. However, despite being more expensive, insiders say the Mater site is still viewed as being the one to beat. One of the arguments put forward by its backers is that more than €29m has already been spent on pre-planning at the Mater site, including design work, since it was chosen by the last government in 2006. This would give it an advantage over rival sites and would speed up the timescale for the submission of a new planning application. The review group was due to submit its report to Health Minister James Reilly tomorrow but was granted an extension because of the workload involved. It is now not due to report until June 7. Following this, Dr Reilly will bring the proposals to Cabinet. Notorious bends on the road into Dingle were “not just impediments on the way” but were rare geomorphological features, a Bord Pleanála hearing into plans to straighten the N86 secondary road heard. Sarah Dolan, representing a group of local residents, said the scale of the planned new Dingle-Camp road was “three times the size of the current road”, which the hearing was told dated to the 18th century. The group charged with building the new national children’s hospital held talks last week with An Bord Pleanála regarding revised proposals to develop the facility at the campus of the Mater hospital. The planning authority rejected an original application for planning permission for the Mater site several weeks ago. However, the Sisters of Mercy, who own the Mater campus, have decided to donate an 1861 Mater hospital building to the project, which will allow for the development over a wider footprint. A PROPOSAL to locate the national children’s hospital on the extensive Grangegorman site in Dublin 7 is being backed by the city council’s former chief planning officer, Pat McDonnell. Yesterday An Bord Pleanála approved a planning scheme for the 73-acre site under which most of it would be developed as a new campus for Dublin Institute of Technology to replace its existing colleges in the inner city. AN BORD Pleanála’s decision to approve planning permission for an integrated campus for colleges of the Dublin Institute of Technology at Grangegorman was welcomed yesterday by Michael Hand, chief executive of the Grangegorman Development Agency, who insisted the Dublin project was now “shovel-ready”. He said the board’s decision meant that the project would have a “transformative effect on the city of Dublin”, contributing significantly to job creation in construction and urban regeneration. Three sites in north Dublin are in the running to be the location of a new Dublin regional sewage treatment plant, which would be second in size only to the Ringsend sewage works. Two sites near Lusk and one near Dublin Airport have been shortlisted as preferred sites for the plant which would have the capacity to process the sewage of up to 700,000 people in Dublin city and county, as well as parts of Meath and Kildare. An Bord Pleanála has approved the development of a €486 million centralised Dublin Insitute of Technology (DIT) campus at Grangegorman in Dublin. The blueprint for a new “urban quarter” and campus was approved by Dublin City Council last July but it was subseqently appealed to the planning board by local residents, who raised concerns about the height of some of the buildings among other issues. Today the board ruled that three proposed buildings of between 12 and 15 storeys high will require separate planning permissions because of their potential impact on the city skyline. A NATIONAL children’s hospital at the Phoenix Park racecourse would be €210 million cheaper than the plan for the Mater site, developers have said. Property development company Flynn and O’Flaherty has offered eight acres at the racecourse in Dublin to the State for the planned national children’s hospital. Businesswoman and member of the board charged with developing the new national children’s hospital, Norah Casey, has backed the Mater hospital as the best location for the new facility. Speaking at the Irish Nurses and Midwives Organisation (INMO) conference in Killarney, Ms Casey said she thought the Mater site was the better option. The proposed widening of the main tourist road to Dingle, Co Kerry, would have a profound impact on the landscape, would “be at the expense of the character” of the road and would destroy its personality, objectors have told the planning appeals board. ANALYSIS: AFTER AN Bord Pleanála shocked nearly everyone – including the Government – by refusing planning permission for the proposed children’s hospital on the Mater site, architects O’Connell Mahon set about trying to see how its concerns about visual impact could be addressed. What made it possible for the scheme to be reconfigured was the willingness of the Sisters of Mercy to hand over the original Mater hospital to the State – thereby increasing by 50 per cent the site area available to accommodate the children’s hospital and its associated facilities. Supporters of developing the national children’s hospital on the Mater site in Dublin said today it can be built there more quickly and at less cost than at any other location. The backers of the Mater site today that a revised plan they have put forward would have a wider footprint and a lower height than the original proposal, which was rejected by An Bord Pleanála several weeks ago. 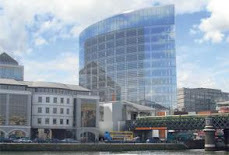 THE NEW national children’s hospital can be built faster and cheaper on the site of the Mater hospital in Dublin than in any other location, supporters of this site have maintained. At a briefing in Dublin yesterday, senior figures at the Mater, Temple Street and the Rotunda hospitals gave details of a revised design for the children’s hospital on the Mater site. A GROUP of business people in north Leitrim have defended their decision to accept a €20,000 donation from a company which wishes to carry out hydraulic fracturing (fracking) in the area. The Manorhamilton Enterprise Forum, made up of “hardworking, decent, honest people struggling to make ends meet in the biggest recession we have known”, said it would not be deterred by those opposed to fracking. THREE FORMER EXECUTIVES of Liam Carroll’s collapsed property empire have been engaged by its banks to oversee the management and future development of Cherrywood Business Park in Loughlinstown, Dublin 18. Lloyds Banking Group, along with Danske Bank and AIB, have agreed an “asset-management strategy” for the 400-acre park with three of Carroll’s management staff, David Torpey, John Pope and Noel Murray. THE company behind controversial plans to carry out gas 'fracking' in the northwest is planning to make more cash donations to local groups. This follows a row over a €20,000 donation by Tamboran Resources to Manorhamilton Enterprise Forum to help the group's attempt to build a hotel in the Co Leitrim town. The process known as 'fracking' involves forcing up to 10 million gallons of fluid as far as 1,000 metres below the surface to crack open rock formations. The gas found in the shale below the rocks is channelled back to a well on the surface. However, pollution can occur if seals break in the vertical pipeline underground, which runs through aquifers and other water supplies. These concerns have led to an opposition campaign in the county. Tamboran Resources, the company planning to drill hundreds of fracking wells in north Leitrim, said yesterday that it had established a community fund and that it intended to make some money available to other local groups. The Manorhamilton forum said it had decided to "tackle Tamboran for money" to allow it to proceed with a planning application and feasibility study for the hotel. Tamboran gave the board €20,000 towards this. The voluntary group said it had been "extremely careful to accept the monies without any strings or promises". It said: "We have received grants towards various projects in the past but these grants are now impossible to get. "The lack of a small hotel in Manorhamilton means that every wedding and event associated with a hotel must go out of the area every week." It added that the board could do whatever it wished with the money, provided that it promotes business in the region. The group criticised what it described as unfair comments about the issue by people who were opposed to fracking, adding: "We have no idea if fracking will ever come here." The company said: "Tamboran Resources is very pleased to have stepped up to assist them with their plans to benefit their community." A spokesman told the Irish Independent that it was planning to donate further funds to community initiatives in north Leitrim as it wanted to play its part in the locality. However, Sinn Fein TD for Sligo-Leitrim, Michael Colreavy, said he was disappointed that the Manorhamilton forum had accepted the Tamboran money. THE ex-wife of a former councillor contacted a government TD to tell him her husband had received tens of thousands of euro from a property developer, a court heard yesterday. Waterford Fine Gael deputy John Deasy gave evidence at the trial of Fred Forsey Jnr at Waterford Circuit Court. Mr Forsey (42), of Collagh Road, Abbeyside, Dungarvan, Co Waterford, is accused of corruptly accepting three payments of €60,000, €10,000 and €10,000 in 2006. Yesterday, he pleaded not guilty to six counts contrary to the Prevention of Corruption (Amendment) Act 2001. The payments are alleged to have been made as a "reward" to Mr Forsey for using his position on Dungarvan Town Council to make representations to officials and members of Waterford County Council in support of a planning application made by the developer's company. The developer cannot be named for legal reasons. It is also alleged that the payments were given as a reward or inducement for Mr Forsey to speak at a meeting of the town council in support of the development. The jury heard that Mr Deasy had been contacted by the ex-wife of Fred Forsey, Jenny Forsey, in April 2007 when "certain information" came to light. Mr Deasy immediately contacted Supt Thomas O'Grady in Dungarvan after the telephone call from Mrs Forsey. He advised her to do the same. Prosecution barrister Denis Vaughan Buckley told the court that Jenny Forsey would later tell how she had split up with Fred Forsey in October 2006. He said that before this, the family went on holiday to Rome on August 25, 2006 -- on the date of the first alleged corrupt payment to Mr Forsey. While he was in the airport, Mr Forsey took out his wallet and gave the children money, Mr Buckley said. While in Rome, his wife asked him about where he got the money and she was told that a property developer had lodged €30,000 into Mr Forsey's bank account. "He told her it was for work he was doing for him," Mr Buckley said. Mr Deasy gave evidence of meeting the same property developer in his local pub, Merry's in Dungarvan, in the summer of 2006. He said the developer sought his support for a planning application which he claimed would create hundreds of jobs. Mr Forsey met Mr Deasy in a cafe in Dungarvan some weeks later to look for his backing for this development. Mr Deasy said he had a "difficulty" with the project, adding: "It was my opinion now and it always was (that the aim) . . . was to inflate the price of land." Defence barrister John Phelan asked Mr Deasy if he was aware Mr Forsey had fallen on "bad times" with his business. "You were aware he had planned to go to Australia?" Mr Phelan asked the witness, before adding that the departure was not a permanent move. Mr Deasy replied that he had "no idea" about Mr Forsey's finances. He agreed that he had asked Mr Forsey to relinquish his seat on Dungarvan Town Council when he discovered his plans to move to Australia and that Mr Forsey "eventually" gave up his seat. Mr Phelan put it to Mr Deasy that he had phoned the accused and told him "not to ever come back to Ireland". He claimed Mr Deasy had said: "Have a good life. Goodbye." Mr Deasy said this was not his recollection. Mr Phelan asked John Deasy if he knew why Jenny Forsey had "picked" him as an "ally". "Were you aware there had been (marital) differences and Mr Forsey was residing with another lady?" Mr Deasy replied: "She (Jenny Forsey) never made any comment to me as to her marital relations." Jenny Forsey is due to give evidence at the trial today before Judge Gerard Griffin. The case is expected to last between three and six weeks. AN BORD Pleanála has ruled that the first phase of an enormous Chinese trading hub on the edge of Athlone, Co Westmeath, would be “in accordance with the proper planning and sustainable development of the area”. 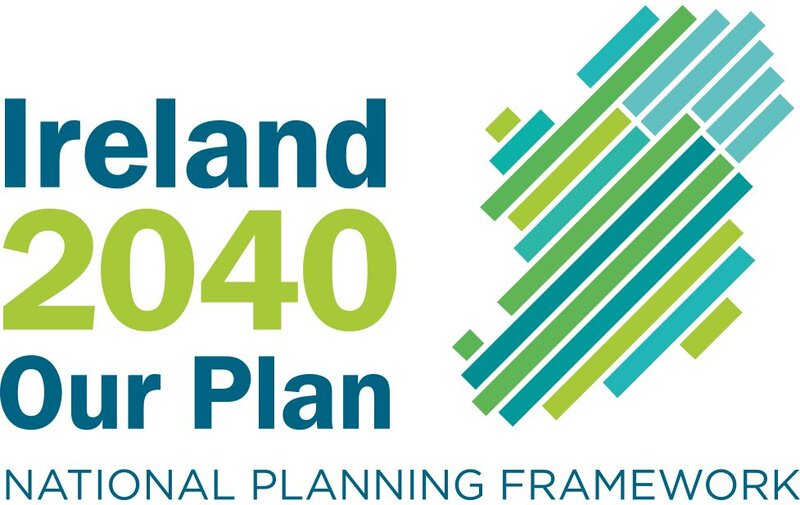 The four board members unanimously granted permission for the proposed development by Athlone Business Park Ltd on the basis that it would be in line with the National Spatial Strategy (NSS) regional planning guidelines and a local area plan for Creggan. The team behind the plan to create an international China trade hub is aiming to have phase one up and running in three years. Athlone Business Park Ltd wants to get a jump on rival bidders in England for the lucrative one-stop trade and exhibition centre, which will initially create 1,530 jobs. The €175m first phase of the Europe China Trading Hub at Creggan, near Athlone, will provide a base for Chinese companies to promote business in Europe and across the western world. John Tiernan, chief executive of Athlone Business Park Ltd, said it is aiming for construction to begin by the end of next year. "It’s big, yes. Some people have been gobsmacked by the overall scale of the masterplan but that is only if everything comes to pass," he said. The focus of the hub is to give executives and buyers on the US east coast easy access to the Chinese market without costly and time-consuming visa applications and travel. The aim is to open phase one by mid-2015. If plans come to fruition and another five phases can be filled — an estimated €1.4 billion development — the full site would be operational by 2022, employing about 9,000 workers, two-thirds of whom must be Irish orEuropean. It is understood Chinese money will finance the project and Irish banks will have no role in the lending. The development — which will also have a special Irish section to promote domestic business — will house massive exhibition centres for buyers to assess products before placing bulk orders. While discussions have taken place with some Chinese manufacturers, no firms have signed up to base themselves at the Midlands facility. Mr Tiernan said Athlone Business Park Ltd, whose directors include Aidan Kelly and Michael O’Sullivan, have been speaking to a number of Chinese investors over the last three years. They envisage that it will attract 1,750 visitors a day. Phase one focuses mainly on showcasing and is a fraction of the overall 140-hectare plan, which also includes two five-star hotels, a Chinese palace and serviced apartments. The prospect of parts of the Midlands being turned into a "Shanghai on the Shannon" has been greeted positively in a region considered one of the country’s unemployment blackspots. Reaction to news that An Bord Pleanála has granted planning permission for the first phase of a large "Euro-Chinese Trading Hub" at Creggan, Co Westmeath, has broken along expected lines with local business and political interests welcoming the development, while environmentalists have expressed concerns about its potential negative impact. There are more than 33,000 people on the Live Register in the Midlands. The hub project was promoted by Athlone Business Park. Welcoming the decision, the chief executive of the business park, John Tierney, said it represented a significant step forward for the development. He said the company had not yet been in a position to sign up Chinese manufacturers or promoters for the project, but they had been in talks with potential partners. He estimated that construction on the two major exhibition halls could begin next summer and open for business in 2015. An Taisce, which appealed the original decision of Westmeath County Council to grant planning permission, said it noted yesterday’s decision by An Bord Pleanála. An Taisce said it believed the vague nature of the planning conditions attached to what it described as a proposal of a "staggering size" was a serious concern. It also criticised the lack of global consideration of sustainability in the board’s ruling. Fine Gael TD Nicky McFadden predicted the hub would bring thousands of jobs and a major boost for the economy. Fianna Fáil TD Robert Troy welcomed the go-ahead and claimed conditions imposed by the board would benefit the area, such as improvements to local roads and the provision of a frequent coach services to and from Dublin Airport for visitors to the trading hub. However, former Green Party TD Ciarán Cuffe warned that the €175m project could result in low-cost Chinese jobs displacing higher-paid European jobs at a faster pace. An Bord Pleanála has granted planning permission for the first phase of the massive “Euro Chinese Trading Hub” at Creggan, 2km from Athlone, including three major exhibition halls and other facilities totalling 102, 348sq m (1.1m sq ft). It is planned the €175 million first phase of the hub will be a base for Chinese companies to promote trade and commerce with Europe and the rest of the world. It is intended site will employ 1,530 people after an initial boost of 1,200 construction jobs. THE CONSORTIUM behind plans to build a national children’s hospital beside the Mater adult hospital in Dublin has said it will unveil a public information campaign shortly to “fully demonstrate” how the Mater site remains the best location. Speaking on behalf of the Mater Misericordiae Children’s University Hospitals, chairman Donal Walsh said the consortium, comprising the Mater, Temple Street children’s hospital and the Rotunda maternity hospital, was “entirely confident” it would fulfil criteria set down by the National Paediatric Hospital Review Group. THE WIFE of singer and musician Van Morrison has secured a High Court order for disclosure of documents relating to her forthcoming legal action over a redevelopment of her neighbours’ home which, she says, has affected her privacy. Michelle Morrison secured leave from the High Court in October 2010 to bring a challenge related to the alleged failure of Dún Laoghaire-Rathdown County Council to protect her family’s privacy when it was dealing with planning permission for work on a neighbour’s house on Sorrento Road, Dalkey, Co Dublin. The case has yet to go to full hearing. PLANS TO build a giant Europe China trading hub near Athlone may enjoy considerable public support locally, but the Government’s official view on the nascent project is far less clear. Fianna Fáil members in the last government, right up to former taoiseach Brian Cowen, were heavily lobbied in relation to the project, but contact with the Fine Gael/Labour Coalition appears to be limited to briefings of departmental officials. Two doctors, husband and wife Paul Byrne and Niamh O’Sullivan, are to ask a court to restrain a “flagrant breach of planning laws” that is keeping them awake at night. The couple’s home at 73 Upper Leeson Street, Dublin, is a protected structure and the last of a terrace of houses that have, over the years, been turned into offices.